Note: We are not able to provide the coverage you have come to expect for this launch due to a decision by United Launch Alliance. Learn More. 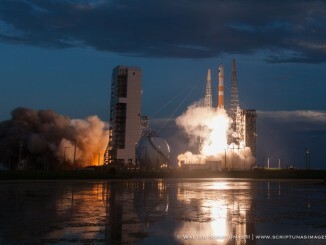 ULA’s live video coverage of the Delta 4 launch will begin Jan. 19 at 10:45 a.m. PST (1:45 p.m. EST; 1845 GMT). For decades the news media has been provided with audio feeds to enable coverage of the countdown and ascents of U.S. launch vehicles. We were very disappointed to learn on Friday that United Launch Alliance has decided to change this practice for its launches. A ULA spokeswoman said the company had performed an evaluation of its provision of audio lines and had decided to discontinue them. For this current mission the company will permit audio feeds to be released two hours prior to liftoff. This will prevent independent coverage of the crucial fueling phase of the countdown. After this launch no uninterrupted, clean audio from the launch control center will be released to the news media in realtime. 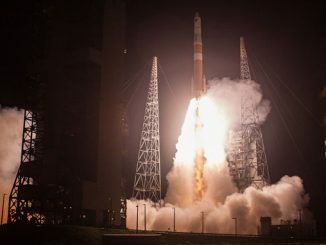 Unless alternatives are offered, the only source of information on the countdown will be from ULA’s corporate communications department via its website and social media accounts. 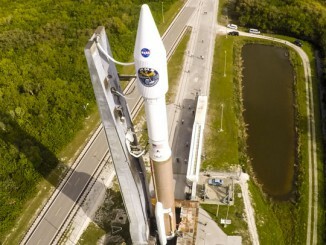 Spaceflight Now hopes United Launch Alliance will reverse this decision but unless they do we are no longer able offer the accurate, timely and impartial coverage of ULA launches that you have come to expect. This decision by United Launch Alliance does not affect our coverage of other launch companies.